I've not shared all the interesting new things that have arrived in my kitchen for quite a while, so I thought it was about time. Some things I'm sent to review and others I've come across myself. I hope you enjoy browsing through my new discoveries. Do let me know if you've made any new kitchen discoveries. A subscription service for vegans and wow what a selection. I loved this service and Graham really enjoyed the selection. He wasn't really interesting in the fruit crisps, but I happily munched through those. If you have a vegan friend or family member, this would make a great gift. You can buy a selection of one off boxes or order a monthly delivery and try new things each month. Go on you know you deserve it. I've never really been too enamoured with pretzels. 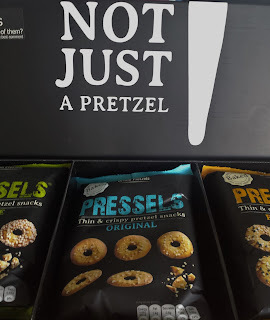 I would love to try the fresh bread type pretzels that are a traditional bake in Germany, but the little dry snacks, no, they do nothing for me. So I was a bit cynical about these pressels, but pleasantly surprised. They are baked snacks with three different seed coatings and a little salt. They wouldn't be my first choice in a snack, but I did enjoy them. This is one of my favourite organic brands. We particularly like their dairy free pesto, their pasta sauces with tofu or soya, which are great for a a quick midweek meal and we really love the fresh flavour of their chilli ketchup. Look they sent me a care package. I think they noticed I love them and keep name dropping. You'll see the sauce I was talking about in the photo and one of the jarred sauces. They are a family brand that create really high quality organic store cupboard products. Go check them out. You must have heard of Moonpig and you've probably ordered some cards from them. In the past they offered the bog standard card shop gifts like chocolates and flowers, which are lovely, but not very original. Their latest addition is gift boxes. They are all rather original and quirky and would make fabulous gifts that can be delivered for you along with a personalised card. We've had great fun playing with the Movie Box which has a smart phone projector. You can project your own movies, you tube movies or any tv or movie services you have connected to your phone. It's fun for kids, for a bit of fun at a party or for travelling. It also comes with an American style popcorn box and some corn ready for popping. I also like their Brew your own beer, Digging it deeper and The mixologist gift sets. As you can see I've already tucked into these. I picked them up last night in M&S. They have a special offer on their new range of chips, only £1.50 for 2 large bags. We had a bit of a light buffet dinner last night, so I put some of these out in a bowl. They are very crunchy and have a great flavour but not overpowering. 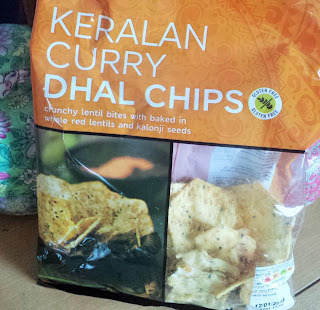 The are more like tortilla chips than crisps. This month I started ordering a weekly veg box from Bellfield Organic Nursery, who deliver in Central Scotland and can be found at Farmers Markets across Scotland. 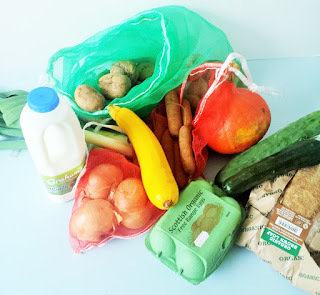 I pay £12 for my basic veg box, which changes slightly week to week. I have a bottle of milk, eggs and some freshly baked bread added to my weekly delivery, but I've also ordered jam and chutneys too. Not knowing what's going to arrive each week is fun. It's like Christmas every Wednesday and it spurs me on to try different dishes. Of course the quality and flavour are much better than what you'll find in a supermarket and it's all organic too. I'd forgotten how good carrots can actually taste. I've gone all ecological this month haven't I? 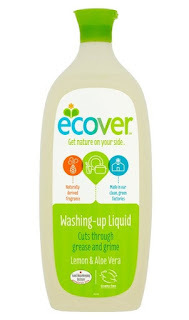 First my veg box and now environmentally friendly washing up liquid. I am using Lemon and Aloe Vera, but it also comes in Grapefruit & Green Tea and Chamomile and Marigold. It has a subtle scent and doesn't bubble up as much as my regular washing up liquid, but it does the job nicely and you know you are doing your bit for the planet. There's no nasty chemicals in this bottle, just plant and mineral based ingredients that aren't tested on animals. It's on special offer just now from Ecover Direct. Only £1.60 for a litre bottle. OH MY GOD! This stuff is amazing. I could easy eat way too much just with a spoon. Forget the bread or toast! 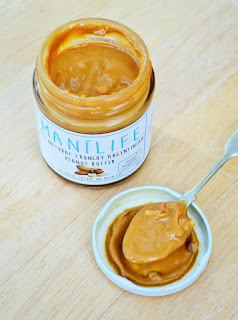 You've never tasted peanut butter like this unless you have made some yourself. It's really stick-to-the-top-of-your-mouth deliciousness. 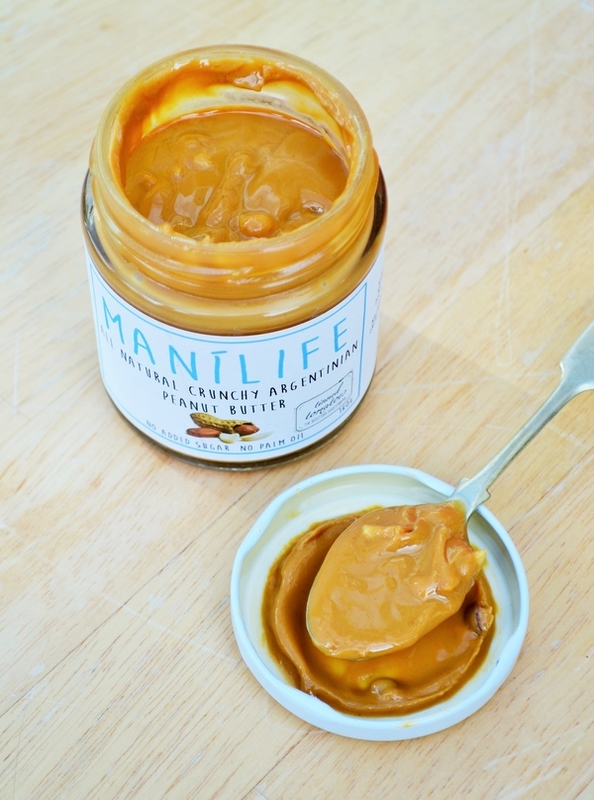 The nuts are sourced from Argentina and the peanut butter is made naturally with no sugar or palm oil. It's only available in stores in London at the moment, but keep an eye out for it. You know how much I love jelly sweeties. 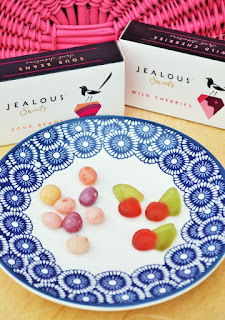 Lately I've been chewing on some of these jelly sweets from Jealous. They are little handbag sized boxes in a range of flavours. They are gelatin free, but they have a really good chew. You know what I mean. Some veggie jelly sweets are tough and have little chew, but others like the M&S Colin and Percy range have gorgeous flavours, but are quite soft. These have the perfect chew levels. The wild cherries, are quite subtle, I think they would be better with stronger flavour. The sour beans are spot on taste wise. Mmmmmm! I hope you discovered something new today. Have you made any interesting foodie discoveries lately? Disclosure: Some of these items were sent to me for review. I was not expected to write a positive review and any opinions expressed are my own. There was an online store Claire, but I notice it's stopped trading. Keep an eye on the website for new shops. What a great selection this month Jac! Which should I start with? The peanut butter if you can get hold of some Helen. That would be a pretty great place to start. I love Mr.Organic ketchup! Even OH how hates normal ketchup loved it ;-) Moonpig gifts are great too - used to buy cards from them to be send to Poland and can't fault the service - they were always brilliant. Great round up! It's good, isn't it, so fresh, but with a kick and yes I've used Moonpig for years. What a great selection :) I'm especially interested in Mr Organic as I have never came across this brand. And those Pressels are really good, sesame seed ones were our favourite! You should look out for it Margot. Not sure which Pressel I liked most. I really enjoyed reading this post! First of all the peanut butter looks SO good! I really want some right now haha. And then I really love the idea of the Vegan tuck box and Mr Organic. I also thought that the idea of the smartphone projector is pretty interesting! Well I'm glad you got a lot of inspiration from this post Diana. That is quite a collection - hope you enjoyed it all! Yes, it was a good batch this time. That smart phone projector looks great fun. Does it need to be quite dark for it to work? How big does it project? Yeah it does need to be dark. It projects clearer on a smaller area, goes out of focus a bit the bigger you get. It's great for kids. Yes those are two good picks Camilla. The peanut butter is divine. I'm loving the look of that vegan tuck box! Yummy, and those pretzels, I have to keep an eye out for them locally! Yes they are rather good Elizabeth. I have been converted to ecover fro the last 4 years and love it. I need those moonpig gift boxes. Yes and the gift boxes are fun.